New from STM is the Impulse Medium laptop bag, that will happily accommodate most 15 inch laptop computers. For you fabric trainspotters out there, the outside of the bag is made from 300D velocity poly, with the inside made from 200D water resistant polyester, and the laptop pocket 200g brushed nylex. That should settle those heated pub debates about laptop bag fabric. Other handy and back-saving features include a suspension system with sternum strap to stabilise the load, and a luggage pass-through to sit the Impulse on the handle of a wheeled suitcase. 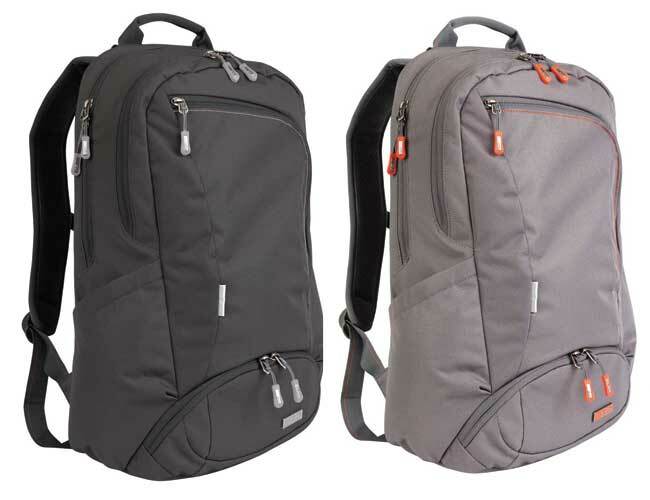 The STM Impulse Medium laptop bag is available in black and grey, and sells for just under $120.